You don’t have to spend massive amounts of money to start driving a luxury sedan that turns heads and creates endless amounts of excitement. A new Jaguar XE under $50,000 offers everything you want in a premium automobile yet costs thousands less than you would expect. If you’re ready to seriously upgrade what you drive around Huntington, you owe it to yourself to test drive this model. 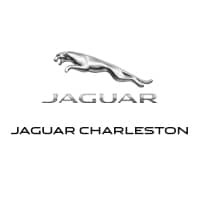 Visit Jaguar Charleston to tour our XE inventory. Why Buy a New Jaguar XE Under $50,000? Make your way from Beckley to explore all that this sedan has to offer. The team at Jaguar Charleston is eager to show off the highlights and able to get more drivers approved for financing. If you need more information, please contact us. And if you’re still weighing your options, find out if a sedan or SUV is right for you.